Tell the Congressional Labor and Working Families Caucus that we need a national policy for paid family leave that covers all workers. Paid family leave refers largely to paid maternity or paternity leave, but it also includes the ability for employees to take significant portions of paid time off to care for a seriously ill loved one or to welcome a non-biological child into the family. Paid leave lasts several weeks, and employees taking it are paid a portion of their typical income. The United States, however, is way behind other countries, as it does not have a national policy for this kind of benefit. In fact, according to the Bureau of Labor Statistics, only 14 percent of U.S. employees had access to paid family leave in 2016. While the 1993 Family and Medical Leave Act was supposed to allow workers to take up to 12 weeks of unpaid leave, about 41 percent of employees went uncovered in 2012. And even those to whom it does apply may not be able to afford to take it. That is why a national policy for paid family leave is so necessary. In addition to that, mothers need to recover from childbirth, and families need to take time together to bond with the baby. Research has even shown that paid family leave is linked to the survival of newborns; it is believed that providing 10 weeks of paid family leave could reduce the United States' higher-than-average infant mortality rate by up to 10 percent. Emerging research also suggests that paid family leave reduces parents' stress and increases the likelihood that babies are breastfed — both of which could improve the children's outcomes. But paid family leave isn't just good for employees and their families. It can even have a positive impact on employers, as they have increased employee satisfaction and reduced turnover rate — which, in turn, results in less money and time spent hiring and training new workers. Yet paid family leave is often treated as a privilege — one that is mostly granted to elite, corporate workers — than it is as a right for everyone who needs it. Programs for paid family leave are being implemented in states like California, Rhode Island, and New Jersey. The results for both workers and employees have so far been positive or at least neutral. If they can do it successfully, so can the rest of this country. The time has come; we need to take action. With a national policy for paid family leave, we could give families the opportunity they need to not just survive, but to also thrive. Paid family leave, including paid maternity and paternity leave, is an issue that deserves to be placed at the forefront of our public attention. The Bureau of Labor Statistics reports that in 2016, only 14 percent of American civilian workers had access to paid family leave. Considering that allowing employees to take paid family leave could benefit families and employers alike, as well as potentially even reduce infant mortality rates, it is a veritable shame that this number is so dismally low. American employees may have access to 12 weeks of unpaid family leave thanks to the Family Medical Leave Act, but a significant number of workers are not covered by it, and even those that are may not be able to benefit from it due to financial constraints. The idea of a national policy for paid family leave for all workers is one that has gained widespread, bipartisan support. It is time to turn this well-received idea into something solid. 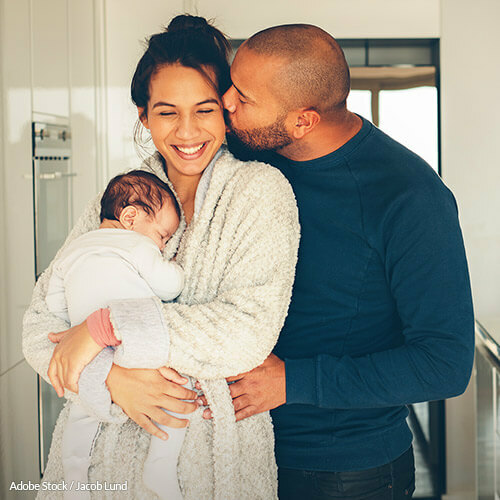 We therefore ask you to create a national policy for paid family leave, one that covers all employees regardless of where they work or what they do. With your help, millions of Americans and their families could benefit and get the leave they truly need and deserve. That's 7,436 signatures! Let's keep the ball rolling.